Although I am not good at designing logos, I tried hard to make one for myself. The 2018 Voltex Pixel logo includes the Greek alphabets Nu(ν) and Chi(χ). 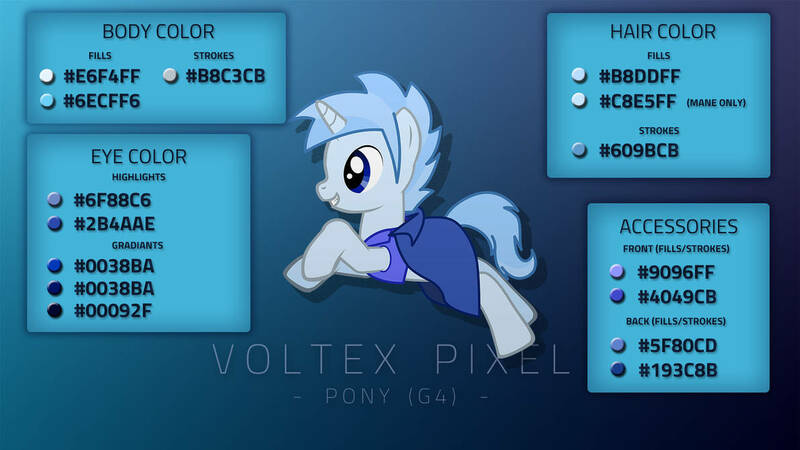 I was so lazy to make the cutie mark, so I've just put the clothes so that the back is hidden. Voltex Pixel is a young web application/software developer, musical artist, and film producer.